give a fig | I’ll drink to that! I’ve been enjoying some extraordinarily delightful morning brews of late. The murky dampness of 5:15am can make the best of us tuck in our tails and surrender back to the sheets. But I love the quiet of early morning, before the frenzy of the day sets in. My brain is less cluttered, my mood is even, and I’m eagerly anticipating the adventure of the day. It’s a sweet time. Some days, I prefer a soft launch into fueling my body. Here are some of the elixirs that bring me energy and propel into the day. 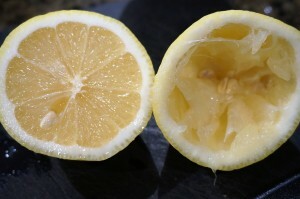 Of course, I always start with warm water and the juice of half a lemon…to prepare my digestive juices, bolster my immune system, and hug my liver. Pour mylk into blender. 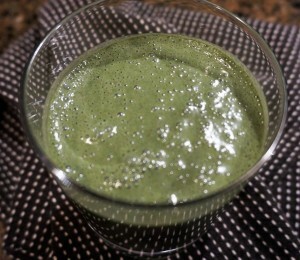 Add remaining ingredients to blender and let whirl for 20 seconds. Pour into glass and let sit for a few minutes; it will thicken. Easy! 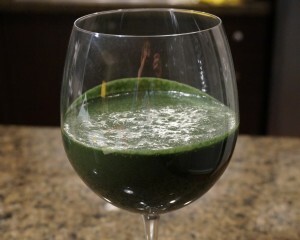 Nutrition notes: Chlorella is a green algae that provides a protein punch (about 15 grams in one tablespoon!). High in chlorophyll, chlorella carries oxygen around the body, cleansing the digestive tract, promoting liver function and improving blood flow. This potent detoxifier helps rejuvenate the body and provides a radiant glow to skin. 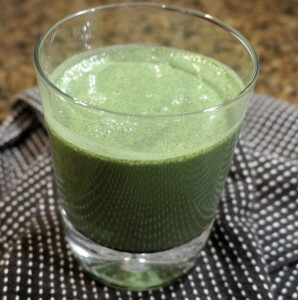 Again, pour mylk into blender container, and add remaining ingredients. Whirl at top speed for at least 20 seconds. Yum! 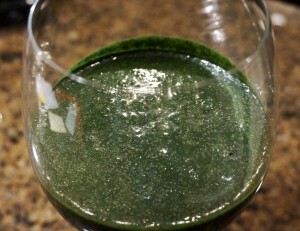 Nutrition notes: Spirulina is a protein-dense blue-green algae whose nutrients are easily assimilated into the body. It is one of the richest sources of beta carotenes, powerful antioxidants that convert vitamin A in the body. It is also rich in iron and magnesium. MCT oil (acronym for ‘medium chain triglycerides’) is essentially a concentrated form of coconut oil, a healthy saturated fat. Uniquely metabolized and easily digested, MCTs are carried straight to the liver (unlike other fats) where they are converted to energy. MCTs improve fat metabolism, blood sugar regulation, and appetite regulation. 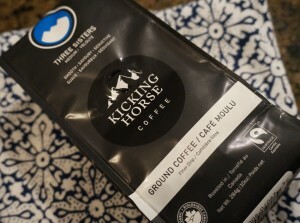 Brew coffee. 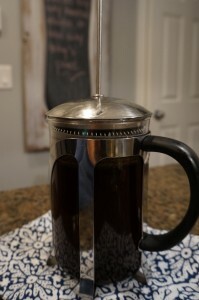 I like to use a French press…so simple, so elegant, and so delicious. 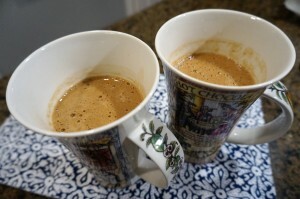 I use 2 heaping tablespoons of ground coffee for about 3 cups of coffee. 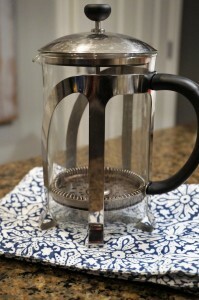 I bring water to a boil in the kettle, let it sit for 20 seconds, then pour over coffee grinds at bottom of press. I give a slight stir, then cap the container (without pressing! ), letting it brew for 4-5 minutes. At this point, I very slowly press the filter down. Coffee is ready for the blender. Next, pour all the coffee into a high-powered blender. 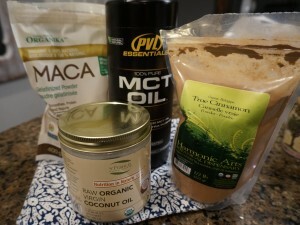 Add MCT oil, coconut oil, cinnamon, and maca powder. Blend at top speed for 20 seconds; divide between 2 large mugs. Sweeten to taste. Thick, frothy…a most luscious latte, with a healthy bent.